LONDON, Sporting Alert – Goals from Sadio Mane, Divock Origi and Marko Grujic helped Liverpool blast to a surprise 4-0 win over Barcelona in the International Champions Cup pre-season friendly game at Wembley on Saturday. Defensive midfielder Javier Mascherano netted an own goal in the second half to complete the scoring, as Luis Suarez return to face his former club ended in a defeat. Mane blasted home the game’s opener from close range in the 15th minute. The forward then turned provider for his team’s second goal after stealing the ball on the right side and then playing in a dangerous cross which was diverted home by Mascherano for an own goal in the 47th minute. One minute later Divock Origi made it 3-0 for Liverpool when the speedy striker broke the half-side trap before firing home into the bottom corner of the goal. New recruit Grujic completed the scoring in the second minute of extra-time with a superb floating header to make it 4-0. Liverpool and Barcelona meet in an International Champion Cup game at Wembley on Saturday. 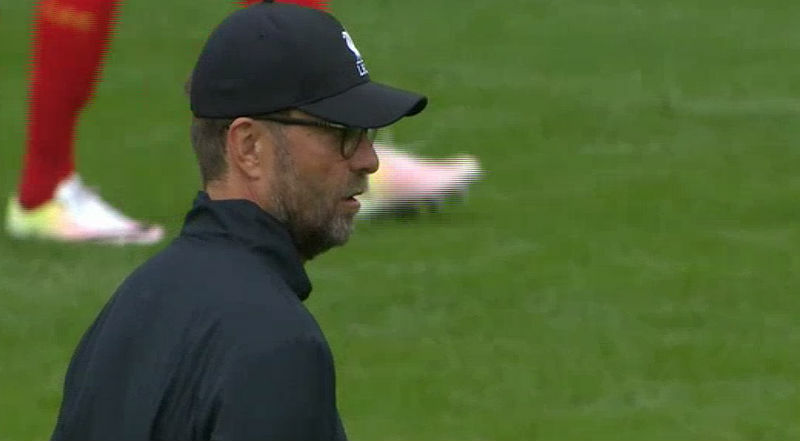 The pre-season clash is the final friendly of the summer for the Englis Premier League side, which starts its hunt to win the league title under manager Jurgen Klopp this season. ESPN, ESPN3 and WatchESPN will provide live streaming coverage of the game for the viewers in the United States. While viewers in the UK and the Republic of Ireland can click here to watch the game live on LFCTV GO. As for the team news for this contest, Liverpool will start Roberto Firmino, Philippe Coutinho and Sadio Mane from the get go, as they seek to upset the Spanish giants in London. Firmino, Coutinho and Mane will all lead the hunt for goals, but England forward Daniel Sturridge misses out due to a slight hip issue, Liverpool is reportings. Midfielder James Milner starts as captain for the game, with Jordan Henderson on the bench. Georginio Wijnaldum, Emre Can and Adam Lallana all start as well for Liverpool. In the meantime, Lionel Messi and Luis Suarez will lead the Barcelona attack with Neymar still out with Brazil at the Rio 2016 Olympic Games. Liverpool team: Mignolet, Clyne, Lovren, Klavan, Milner, Wijnaldum, Can, Lallana, Mane, Coutinho, Firmino. Subs: Manninger, Henderson, Grujic, Moreno, Brannagan, Origi, Ings, Matip, Stewart, Wisdom, Markovic, Randall, Alexander-Arnold.